Grinding wheels for the Series 12 and Series 25 tool post grinder external spindles are made from aluminum oxide. The 12" External Spindle (807-0011) handles 1 1/4" bore diameter standard grinding wheels up to 12" wheel diameter, 1 1/2" wheel thickness. Its maximum recommended speed is 4,000 rpm. Use of this spindle on Series 12 tool post grinders also requires the Series 12 Spindle Adapter Kit (858-0034). 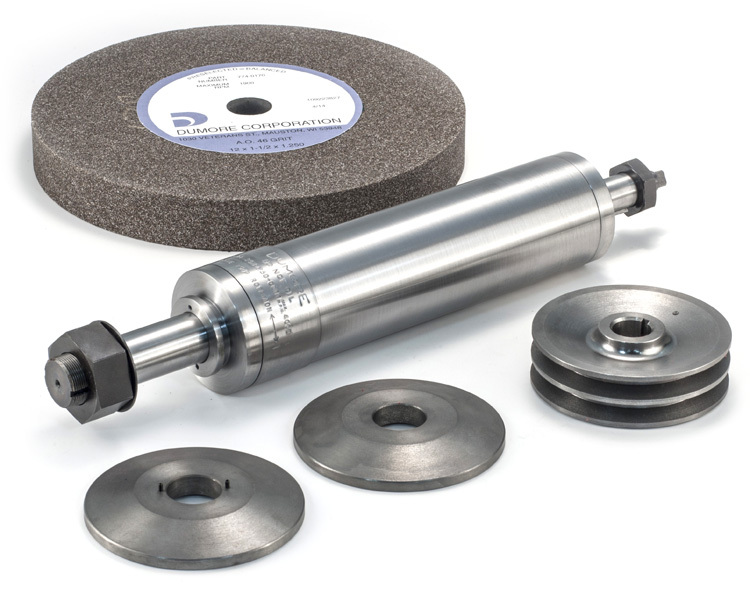 Also see grinding wheels for use with the 8" External Spindle (807-0016), up to 8" wheel diameter, or grinding wheels for use with the 8" Internal Spindle (799-0028) or 16" Internal Spindle (799-0029), up to 6" wheel diameter, on Series 12 and Series 25 tool post grinders.